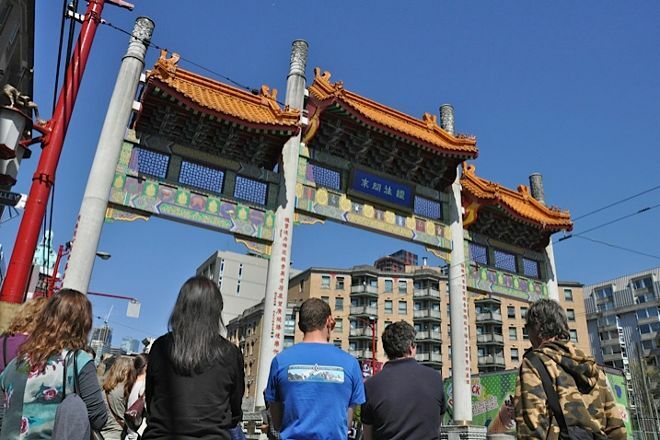 Run by a guide with a master's degree in Chinese Canadian history, Historical Chinatown Tours offer an important glimpse into history and a chance to visit many heritage buildings. These tours are extremely customizable and can be tailored to meet your needs--just tell your guide what you wish to see and she'll arrange the trip accordingly. As you explore, you'll have an opportunity to visit an herbal store, a traditional tailor shop, and a restaurant with over a century of history in the same location. Learn more about the operator and the tour online, or contact Judy by e-mail to ask questions or discuss special tour requirements. 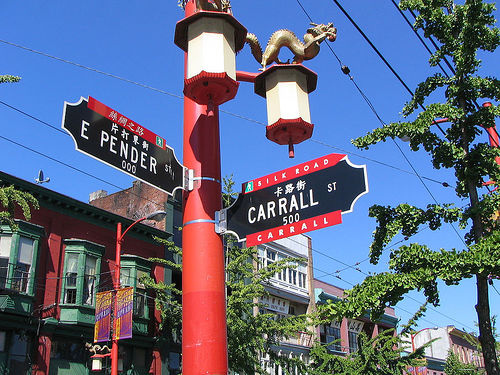 To visit Historical Chinatown Tours on your trip to Vancouver, use our Vancouver trip planner . This past April, I took my Grade Five class on a field trip to Chinatown with Ms. Lam as our guide. She was a great presenter, and was able to make her presentation very accessible to my group of nine- and ten-year old children. She shared a wealth of knowledge and information that made the experience meaningful and interesting for the children and adult chaperones. I'm happy to recommend her tour to teachers, tourists, and interested locals! The best tour I have taken ever! Judy is so knowledgeable and she was able to show me a Chinatown no one else knew because she knows everybody here. We were able to go into heritage buildings that are not opened to the public. I not only learned about Chinatown in Vancouver but also around the world, and I now understand why this place grows to be the way it is. Very informative and engaging! Thank you Judy. August We were only in Vancouver for a few days before our Alaska cruise which boarded at noon ,so we arranged with Judy to meet her at 9 with all our bags. We then proceeded to have a marvelous tour of Chinatown. We would have loved to spend days with her She was brilliant so informative it was a pleasure. Judy is the best Chinatown guide around. She is very knowledgeable and gives you an insiders view of the neighbourhood. She is very connected to the people and places and offers a unique perspective. She gets you into places you would never have access to and introduces you to the people who make up the past and present of this very vibrant community. Her passion is evident when she shares the history and culture of the area. I would highly recommend taking one of Judy's tours whether you are a visitor or local. It is a very memorable and unique experience! I went on a tour with my coworkers and having Judy guide us was wonderful. Judy was very knowledgeable and she knew the ins and outs of Chinatown. I usually do not go on tours, but I am glad I went to this one. I learned more about the history of Chinatown than I thought I knew. Judy had special access to get in to places you wouldn't be able to go in yourself. Overall, the tour was fantastic and I highly recommend you guys try it too. Every day, we help thousands of travelers plan great vacations. Here are some tips on how to use your Listing Page to attract more travelers to your business - Historical Chinatown Tours. Promote your permanent link - https://www.inspirock.com/canada/vancouver/historical-chinatown-tours-a4308365479 - on your website, your blog, and social media. When a traveler builds a plan from this page, the itinerary automatically includes Historical Chinatown Tours. This is a great way for travelers looking for a great vacation in your city or country to also experience Historical Chinatown Tours. Promoting your link also lets your audience know that you are featured on a rapidly growing travel site. In addition, the more this page is used, the more we will promote Historical Chinatown Tours to other Inspirock users. For best results, use the customized Trip Planning Widget for Historical Chinatown Tours on your website. It has all the advantages mentioned above, plus users to your site can conveniently access it directly on your site. Visitors to your site will appreciate you offering them help with planning their vacation. Setting this up takes just a few minutes - Click here for instructions.